Good morning polished world! How are you all doing today? It's Sunday meaning we are beginning yet another new week. I'm hoping that this week isn't going to be as crazy as last. I'm way too busy for my own good. Today I have swatches of the new Into the Wild Collection from Jessica Cosmetics! 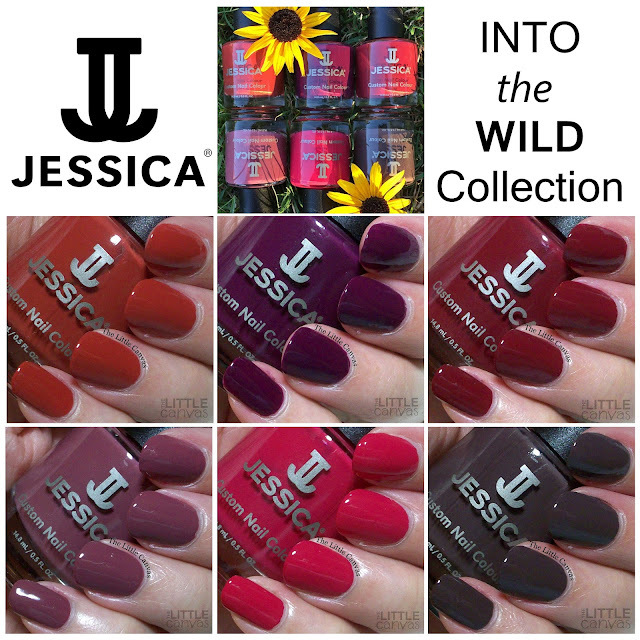 This Fall collection contains six gorgeous cream shades. First up is Tangled in Secrets, a beautiful orange red cream. Two coats, but you can get away with one coat on this one. Really liked this one, and I thought it was going to be my least favorite out of the collection. I think it compliments my skin tone very well. Next up is Mysterious Echoes, a purple/plum cream. Two coats on this polish. It's a little thin but builds up very nicely. Beautiful shade, one of my favorites. 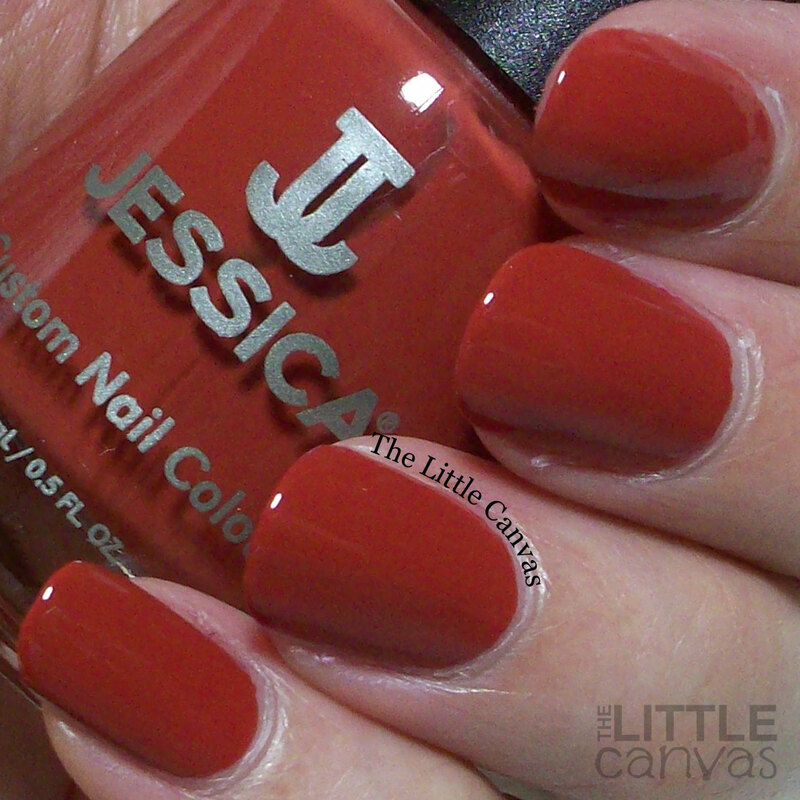 This red/brown color is The Fruit of Temptation. 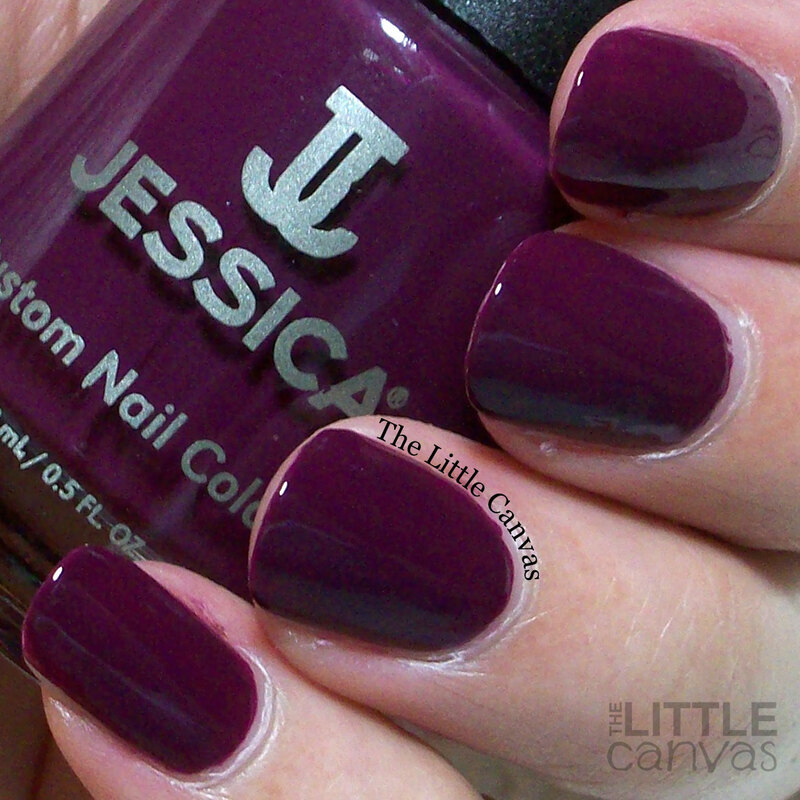 This one you can get away with using just one coat, but I did two for my swatch. Love this shade for Fall. I'm not a huge red fan, but I can see myself wearing this beauty a lot. 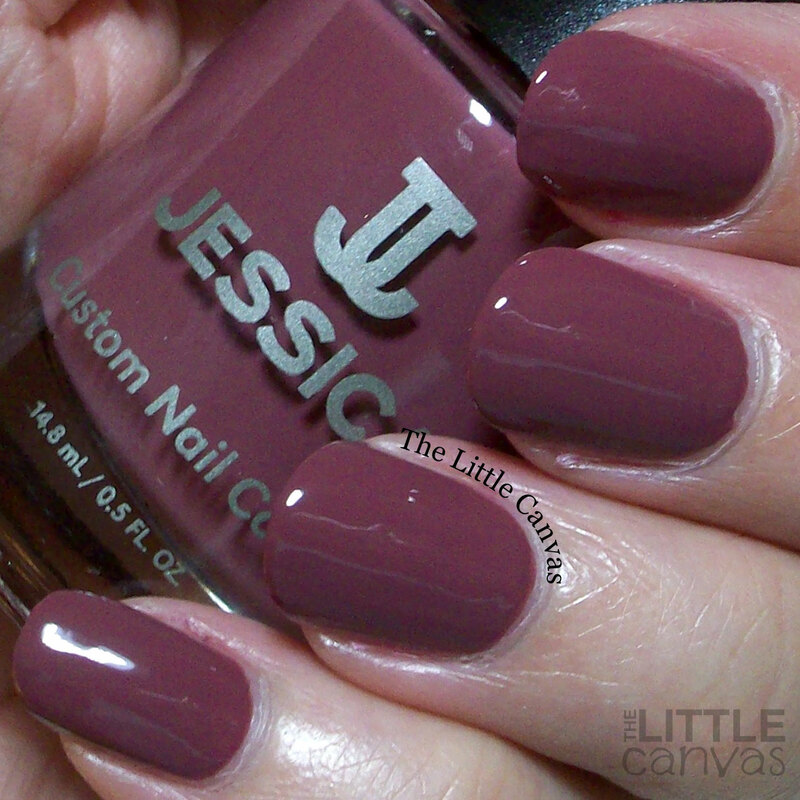 Enter if You Dare is a dusty mauve cream which has complete coverage in two coats. Two coats for full coverage. This one applied so smoothly. A beautiful shade I didn't think I would like at all but I'm in love. Unique to my collection too and something I never would have bought myself. The Luring Beauty is a beautiful pink cream. 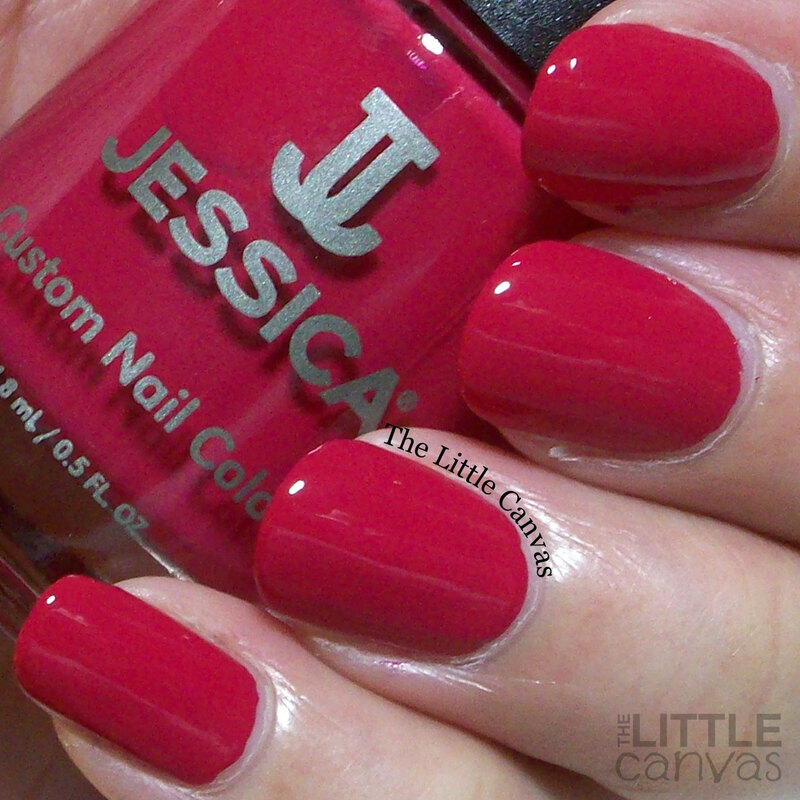 This pretty, pretty polish has full coverage in one coat. I used two coats for my swatch above since I did two coats for the rest of the swatches. Such a versatile shade you can use year round. My favorite, Snake Pit. This beauty is a grey/brown cream. 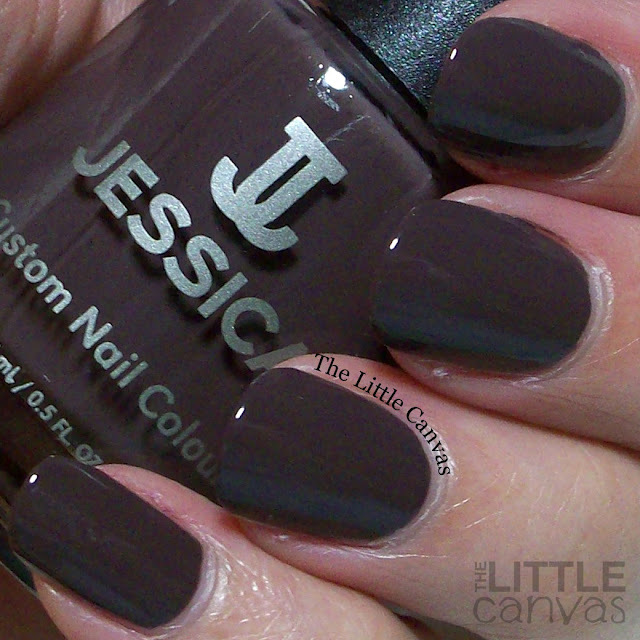 The Jessica website says it's grey, but the bottle and the swatch to me has a brown tinge to it so that's why I said it's grey/brown. Two coats, but you can get away with one coat. I find this shade to be very unique, maybe because I don't own anything like it. Just love it. Overall, I love this collection. I'm not a huge fan of Fall lines, so if I had seen this in the store, I probably would have either just bought Snake Pit or passed the whole collection up all together. I'm so happy I received it for review because I now have found shades/color families I never would have tried before and now am in love with. 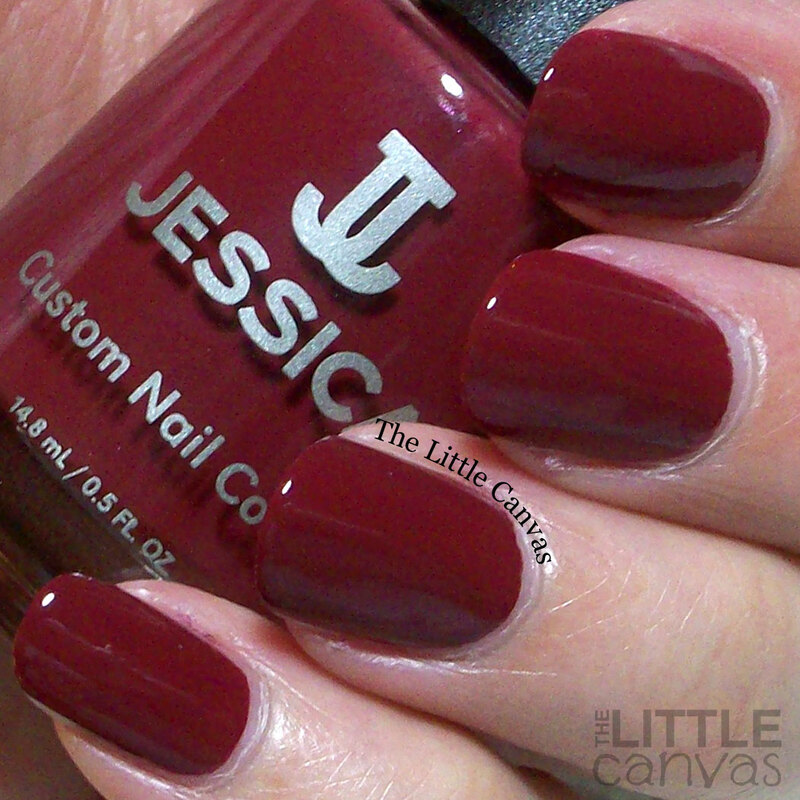 I found that all of the Jessica polishes applied smoothly and had even coverage. Super shiny finish and dried rather fast. My favorite thing, these polishes are 7-free, vegan, and cruelty free. What do you think? Do you have a favorite? Any of these shades now on your want list? Now to create nail art with these beauties! The One With the Roses Feat. Serendipity Polish!